Sensors in roads and in vehicles provide new ways to minimize crashes, and the deaths and injuries that come with them. Last year in Minnesota vehicle crashes caused 455 deaths, but two innovations are designed to help drivers avoid them. 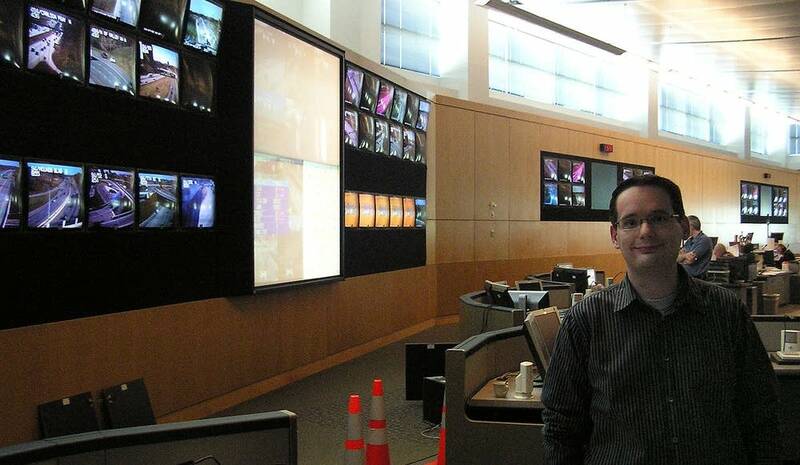 For years, Minnesota Department of Transportation cameras have been able to beam pictures of traffic backups to the Regional Transportation Management Center in Roseville. Now, sensors in the freeway roadbed will detect slowing traffic, according to Brian Kary, MnDOT freeway operations manager. The sensors control electronic signs over each lane. Within a split second - and seconds count for a lot in crash avoidance - the sensors will tell the signs to post advisory speed limits for drivers. "We can get people to slow down sooner so they don't suddenly become caught off guard with some stopped traffic downstream," Kary says. "It gets them to take their foot off the gas." And with luck avoid a rear end collision - statistically the most prevalent kind of crash. 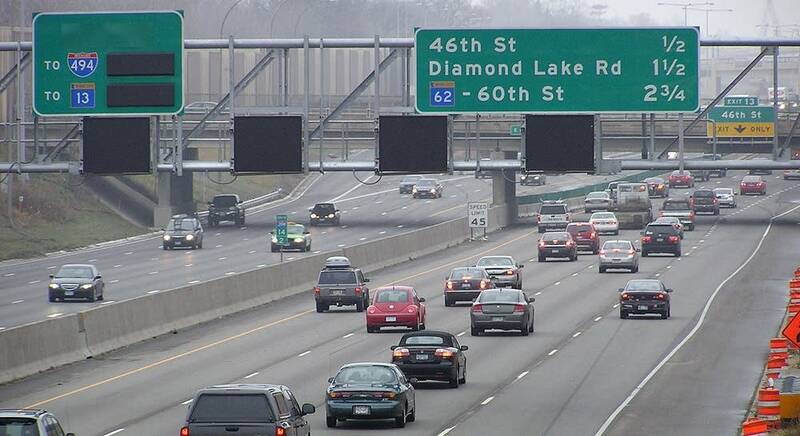 MnDOT's advisory speed limit system on 35W is the first of its kind in the country. The speed limits are advisory; there's no enforcement. In western Europe where similar advisory speed limits are actually compulsory and drivers are ticketed for infractions. The other crash avoidance idea is just now in auto showrooms. The Volvo emergency braking system is the first among major automakers. 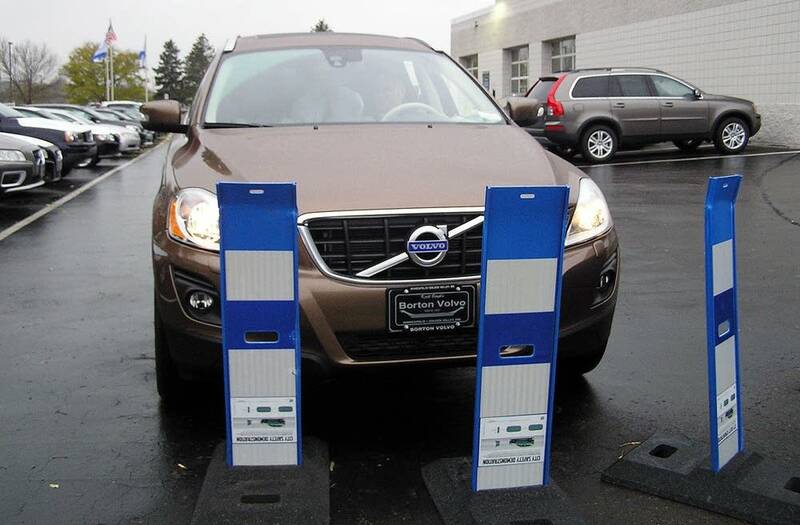 On a recent test drive, Borton Volvo salesman Tristan Grobel steered an XC60, a crossover model by Volvo, toward three plastic pylons at 10 MPH. The car's computer, cued by a video camera and laser beam seeing an object ahead, took control and stopped the car, and fast - a classic panic stop. Also in the car was John Hourdos, a civil engineer and traffic management specialist at the University of Minnesota. He considers the test a success: "There were only three pylons in front of it, which is a much smaller target than a regular vehicle, which means it'll work for a child or pedestrian." Nearly all the car making companies are poised to introduce these emergency also called invasive braking systems. For now, the system only works on low-speed crashes. Even so, the emergency braking system is a giant leap forward, says Hourdos. It marks the beginning of a wave of new vehicle safety innovations. They include use of more sensors in vehicles and roadways to warn drivers if they're crossing into another lane, or straying off the road or approaching a dangerous intersection. Hourdos says what isn't known is how people will react to their vehicles being more attentive than the driver. That's why he advocates installing road and vehicle safety features a step at a time to allow drivers to get used to them. "We will need to see if people are actually comfortable having a computer taking control of the vehicle," he says. "We need to see if people abuse it, rely too much on it." Vehicle-related fatalities and injuries in Minnesota are declining due in large measure to stronger DUI enforcement safer road design and better vehicle technology. And so far this year, roadway deaths are running slightly behind last year's pace. However a chilling fact remains - vehicle crashes are the leading cause of death in this country and in Minnesota for people between the ages of 1 and 33.